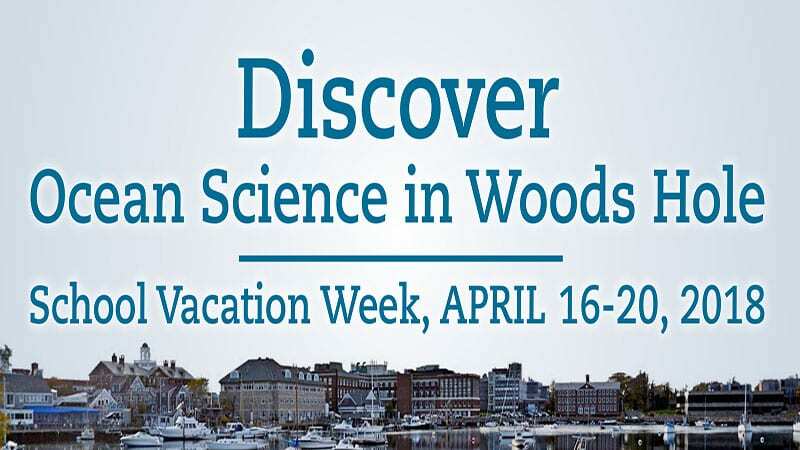 Woods Hole Oceanographic Institution (WHOI) and the Woods Hole Film Festival present “Discover Ocean Science in Woods Hole,” free films and activities during April school vacation week, Monday, April 16, through Friday, April 20, 2018. The events include family-friendly film screenings in Redfield Auditorium, 45 Water Street, Woods Hole, and hands-on activities in WHOI’s Ocean Science Discovery Center, 15 School Street, Woods Hole. 10 a.m. — the documentary film “Saving Sea Turtles” (80 min) in Redfield Auditorium. A true story about people coming together to save the sea turtles we love. Immediately following, meet WHOI Sea Turtle Scientist Kara Dodge. To reserve free seats for this film screening, please visit https://seaturtlessaving.eventbrite.com. For more information, contact information@whoi.edu.